The application of roof coatings helps extend the life of roofing systems and increase solar reflectivity, which can lead to lower energy consumption and subsequent costs. Allied Construction Services, one of the top commercial general contractors in the area, answers some of the frequently asked questions about roof coatings. Our responses to these questions can help you learn more about them and the outstanding benefits they provide. Why Consider Applying a Roof Coating on My Roof? Coatings serve many purposes. Apart from providing an added layer of protection for the roofing system, they also protect it from expansion and contraction due to the effects of sudden temperature changes. They also help buildings achieve better energy efficiency because of their insulating properties. Can My Building’s Roof Be Coated? 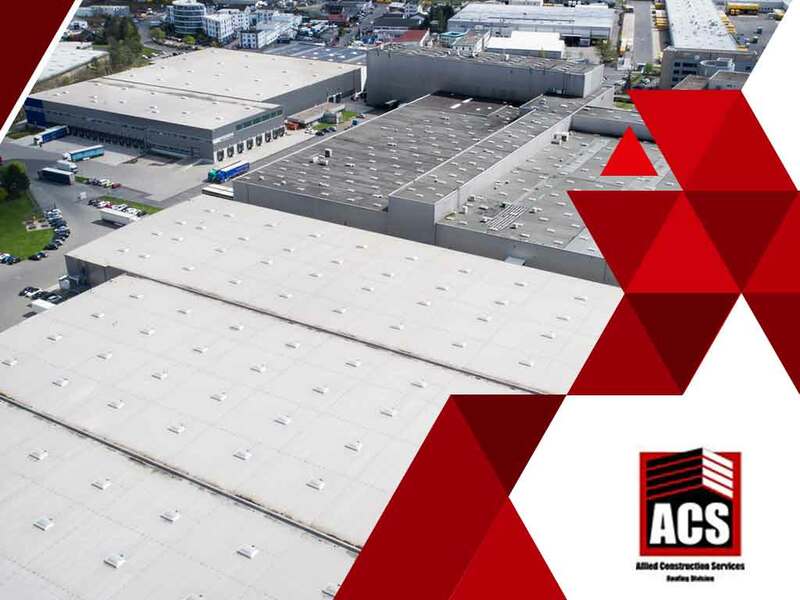 Allied Construction Services offers roof coatings as part of our complete roof system services. They can be applied in almost all types of roofs, from single-ply, modified bitumen, to build-up roof systems. Gravel-surfaced membranes, however, are not often considered for coating membranes unless special treatments are applied. What Preparations Should I Do Before Having My Roof Coated? Before coatings can be applied on your roof, it would be best that you clean and dry the roof surface thoroughly. Our roofing professionals can do all the necessary work for you. We can be relied upon for all your roofing needs, from repairs to replacements. Once your roof has been coated, we can also offer maintenance agreements to help keep it in the best shape for long-term performance and savings. How Long Does the Roof Coating Last? We ensure proper application of roof coatings so that it lasts until the end of its service life. In general, they can last up to 10 years or longer, but that would depend on your location, the yearly climate, the condition of your property and the variety and thickness of the coatings used. Allied Construction Services is the leading industrial construction services provider in the area. We also work on general construction and building maintenance tasks. Give us a call at (925) 297-5788 to learn more. You may also fill out our contact form to request service or schedule an appointment. We serve clients in San Jose, CA and surrounding areas.